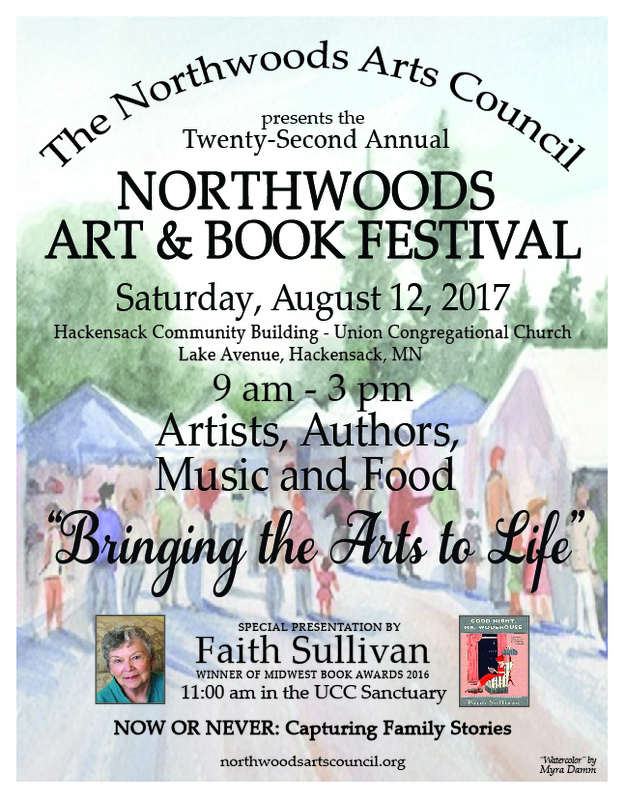 The Northwoods Arts Council (NAC), a local nonprofit organization, presents their annual Art and Book Festival Saturday from 9 a.m. to 3 p.m. in Hackensack. Artists, crafters, food vendors, musicians and children’s art and face painting will be located on Lake Avenue, which will be closed to traffic. The NAC is pleased to welcome 15 new artists to this year’s festival, featuring metal sunflowers and yard herons, Ukrainian etched eggs, Raku clay angels, wood arts and jewelry, to highlight a few. Unique to this festival is the popular book arts section, where 36 authors sell signed copies of their books in two locations, the Hackensack Community Center and Union Congregational Church. A new event has been added this year with a special writing workshop, “Now or Never: Collecting Family Stories.” It will be presented by Faith Sullivan, winner of 2016 Midwest Book Awards. The presentation will be at Union Church, 11 a.m.-noon the day of the festival. There is something for all at the Northwoods Arts Council “Brings the Arts to Life.” Bring your family and friends. Don’t miss the fun. See you Aug. 12 in Hackensack. -As seen in 'The Pilot Independent'.